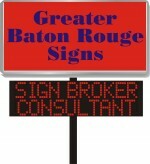 Our channel letter sign is effectively used for displaying corporate ids. Different LED colors are used but still red is the most favorite because it is the brightest and eye catchy. These letters are made of U-shaped channel usually of metal. Our aluminum constructed channel letters are much better than steel constructed one as they are lighter and less exposed to damage factors such as rust. They can be easily installed while mounting in the walls and ceilings. Standard Channel is made up of U-channel base whereas Reverse channel letters are made of metal faces and sides of letters have a clear plastic backing. The faces of the Channel letters with “open” faces are made of clear plastic while the remaining letters being same as the Standard letters. Easy on-site installation – It Reduces the weight of the finished product by approximately one-half allowing for quicker installing of the sign and less ‘labor intensive’, thereby saving money in installation costs. 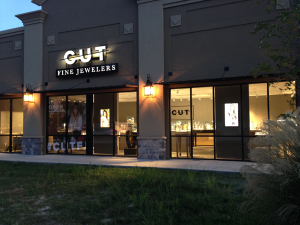 Outstanding energy efficiency – up to 80% – saves you money on operational expenses to run the sign. Long life – up to 100,000 hours vs. Neon which has an average operating life of 3-5 years – thus greater reliability. More durable when handled thereby reducing the chances in breakage during shipping and/or when being installed.